Home News Jersey City News Out in the cold? Employees of former-Gov. Jim McGreevey’s prisoner reentry program got a little taste of what some of their clients go through on Jan. 30 when they were evicted from offices owned by the city of Jersey City. 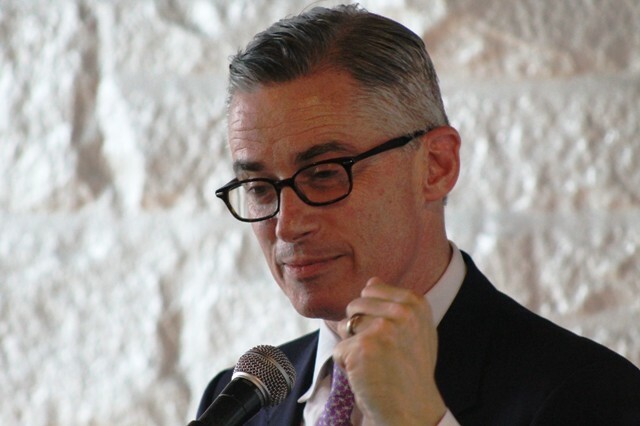 Earlier this month, McGreevey was terminated as the director of Jersey City’s Workforce development, on the excuse that he allegedly may have used city resources to benefit clients of his state-wide prisoner reentry program. McGreevey and some of his supporters dispute this claim, noting that the statewide non-profit actually helped fund the city program after the city drastically cut funds for job placement over the last few years. The Jersey City Employment and Training Program (JCETP) is designed to help find people jobs, and not just those who are formally incarcerated, said Sudhan Thomas, who serves as president of the JCETP board. Thomas said McGreevey focused primarily on reentry people, most if not all coming through his statewide program, many of whom are not residents of Jersey City. McGreevey, however, disputed this. He said while many of those served are former inmates, the city program was so vastly underfunded that the reentry program was keeping it afloat. McGreevey’s New Jersey Reentry Corporation in fact was paying for JCETP’s reentry efforts, something that ended with the eviction. “I don’t know what they’re going to do now,” McGreevey said, noting that the statewide reentry program is still alive and well, with its own offices in South Kearny, near the Hudson County Correctional Facility. McGreevey said the NJ Reentry Corporation had employees located at the JCETP offices on MLK Drive until Jan. 30 when the city informed them they would have to leave. “We did good work over the last five years,” McGreevey said, who has been involved with reentry and other programs on several levels since leaving office as governor more than 15 years ago. McGreevey was part of drug treatment for prisoners for Integrity House in Secaucus and Newark, and later development in jail treatment for men and women as part of a Hudson County program. 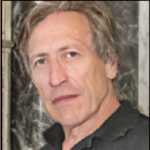 He became director of workforce development in Jersey City in 2014. McGreevey believes his firing was political retaliation by Mayor Steven Fulop, who replaced many of the board members over the last few months – all of whom voted for remove McGreevey. Fulop has denied the allegation, but one or more of the new board members told The Hudson Reporter that they had been appointed as part of a move to remove McGreevey. At the time, McGreevey was not told why he was being terminated, although details later emerged about the program’s failure to provide jobs for people other than those coming out of jail. One of the former board members aligned with McGreevey, however, said JCETP’s lack of performance was tied directly to cutbacks to the program by the city. “It got to the point where NJ Reentry was raising money to keep JCETP going,” the former board member said. McGreevey said his termination may be tied to his firing of Eugene McKnight in March of 2018. McKnight is a key political operative for the Fulop Administration. According to McGreevey, McKnight, himself an ex-offender, is currently under federal investigation for an alleged scheme to collect kickbacks from the salaries of ex-offenders placed in jobs through the JCETP, which is funded by Jersey City. According to a letter sent to Fulop from Michael Critchley, an attorney hired by McGreevey, McKnight was terminated pending the outcome of the investigation, and McGreevey’s firing could be interpreted under state and federal law as retaliation. Critchley’s letter may be the first step towards filing a federal lawsuit against the city for wrongful termination, although McGreevey would not confirm for the record that he intended to do so. McGreevey, however, said he would continue to work on behalf of his clients and would provide services to Jersey City residents who need help in finding drug counseling, housing jobs and other issues faced by people coming out of incarceration.